Madrid: Six of the top seven face off, while Barcelona face a treacherous trip to Valencia in a blockbuster weekend of La Liga action. With the top six separated by just three points,league leaders Atletico Madrid travel to third-placed Sevilla looking to maintain their 11-game unbeaten run this season. However, should Atletico falter, Real Madrid could retake top spot when they host Athletic Bilbao on Sunday. 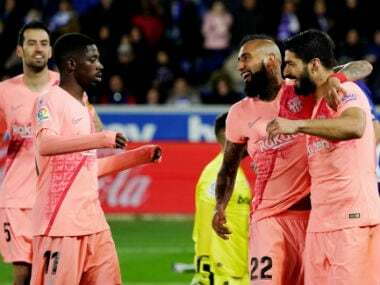 Barcelona head to Valencia in high spirits after Lionel Messi's second Champions League hat-trick of the season ensured a nightmare return for former Barca coach Pep Guardiola to the Camp Nou in a 4-0 rout over Manchester City on Wednesday. Messi was making his first start in a month after a groin injury, but looked anything but ring rusty in taking his tally for the season to 12 in 10 games. 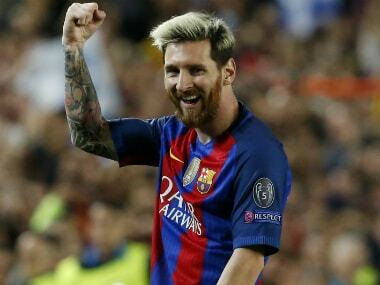 "We have seen the calm that Messi has to finish inside the area as if he was in the school yard," said Barca coach Luis Enrique. Barca have now scored 17 goals in the only four matches this season Messi, Luis Suarez and Neymar have started together up front. The all-star trio will be handed the task of blowing away a Valencia on the up under new coach Cesare Prandelli with Barca facing an uncertain few weeks ahead at the back. Defensive lynchpin Gerard Pique will be sidelined for three weeks and left-back Jordi Alba the next fortnight after picking up ankle and hamstring injuries respectively against City. Valencia took four points from a possible six against Barca despite enduring a horrible campaign last season and have won three of their last four games, including on Prandelli's debut at Sporting Gijon last weekend. The game of the weekend comes on Sunday when Atletico make the daunting trip to Sevilla hoping to maintain their place at the top of the table. Diego Simeone's men have won eight of their last nine, only drawing away at Barcelona. The on-fire Yannick Carrasco has also eased the burden on Antoine Griezmann for goals as the Belgian winger followed up his first ever hat-trick in a 7-1 thrashing of Granada last weekend with the winner in a 1-0 Champions League win at Rostov in midweek. Sevilla have won all four La Liga games at home this season to sit just a point behind Atletico. And two on-loan Atletico players could come back to haunt them as Luciano Vietto and Matias Kranevitter are free to play against their parent club. Real Madrid have roared back into form with 11 goals in back-to-back thrashings of Real Betis and Legia Warsaw after a run of four consecutive draws. Cristiano Ronaldo set up two of Madrid's five against the Polish champions on Wednesday, but endured a frustrating night in front of goal. 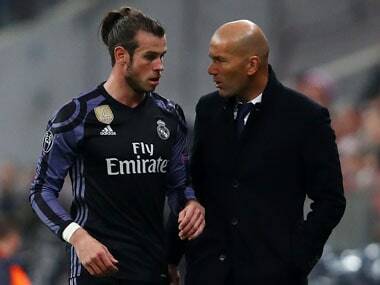 "He was phenomenal in giving passes to the rest," insisted Real coach Zinedine Zidane. "He didn't score today, but we have a game in four days and I am sure he will have chances to score." 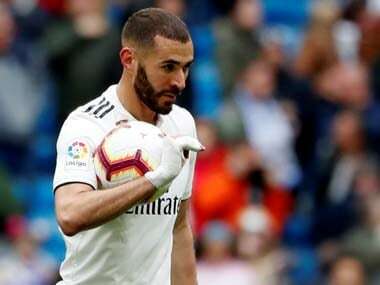 Sergio Ramos, Luka Modric and Casemiro remain sidelined for Real through injury, but Dani Carvajal, Isco and Mateo Kovacic should return after being rested in midweek. Athletic Bilbao are only three points off the top themselves, but haven't won at the Bernabeu since 2005. Villarreal are also unbeaten in La Liga this season to lie alongside Barca just two points behind Atletico and Real.